Still under detention in Israel after a failed attempt to visit, University of Florida student and US citizen Lara Alqasem’s tentative links to the BDS movement have made her a major target for Israel’s far-right government. Enrolled as a master’s student at Hebrew University of Jerusalem, what Alqasem did was be the president of a sparsely attended chapter of Students for Justice in Palestine, and one, according to Facebook, attend a rally of as many as 19 people calling to boycott an Israeli brand of hummus. This was enough to detain her under the increasingly severe anti-BDS laws within Israel. Whether Erdan can even choose to let her in is unclear, as Strategic Affairs Minister is a position created in 2006 chiefly to allow Avigdor Lieberman to have a ministry solely focused on planning for a war against Iran. Miss Alqasem will get no support from US Ambassador in Israel, and no support from Washington. In case there was any uncertainty left, this situation does clarify exactly who is the one in charge in the Israeli American relationship. I think the attack ,on the USS Liberty did that long ago. Actually every survivor knows to this day this was a deliberate attack. Not only that, they were threatened to never speak of it. Listen to what they have said over the years and are saying today. Not some hasbara. You want to overthrow the US govt and replacedit with your own ilk. 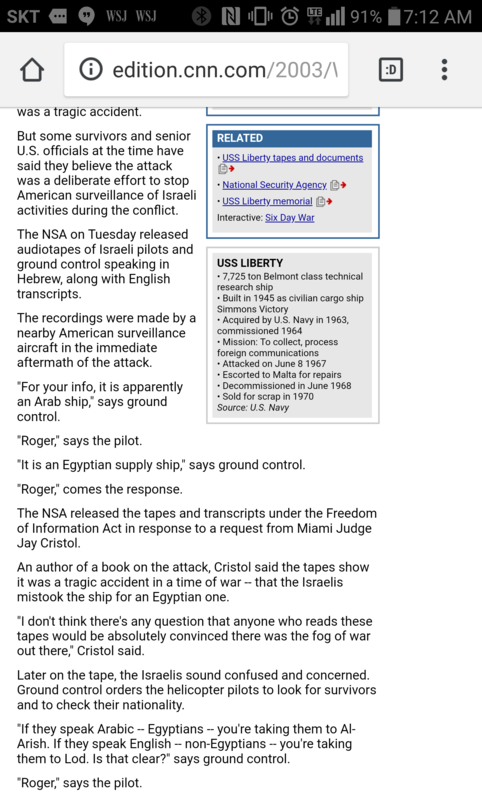 There are tapes on which Israeli pilots tell their bosses that the ship is American. And are told to attack anyway. It was a clear day and the Liberty was flying a large American flag. The Israeli jets flew without insignia and jammed the American frequency. Every survivor knows it was an attack done on purpose. You support a foreign nation that has attacked America and bribed and extorted out politicians. Absolutely shameful. The translated words of Israeli commanders and Israeli pilots from tapes can be heard, numerous times, as confirming the identity of the Liberty as “American.” The tapes include a timeline in the background which fixes the times of transmissions, and establishes that confirmation was made before and during the attack. In 2004 the Jerusalem Post published a transcript of Israeli radio transmissions on that day, critical parts of which match the transmissions in the tape obtained by the film-maker, Richard Belfield. Retired Adm. Thomas Moorer accused the U.S. and Israeli governments yesterday of covering up evidence surrounding the 1967 Israeli attack on the American intelligence ship USS Liberty. Thirtyfour American crewmen were killed and 171 wounded in the combined air and sea attack June 8, 1967, against the reconnaissance ship, cruising in international waters 15 miles off the Sinai Peninsula during the SixDay War. Israel maintains its fighter pilots, who buzzed the ship for eight hours before the attack, and torpedo boat crews, mistook the Liberty for an Egyptian ship. “The Israelis maintain this was simply a case of mistaken identity, but this clearly does not hold water,” said Moorer, who was chief of naval operations at the time of the attack. “In clear visibility, this unique ship was very easy to identify. “The Israeli forces circled the ship and then proceeded to attack over an extended period of time. There is Simply no way the fighter pilots and torpedo boat crews could have come to such a conclusion,” he said. 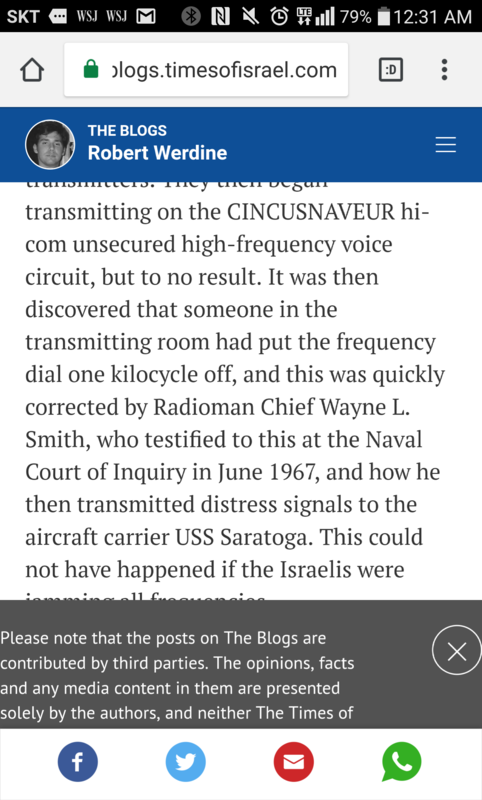 In addition to the abovementioned circumstances which show that Israel’s attack was deliberate the lengthy and careful surveillance, the radio jamming, etc. numerous other details belie Israel’s professed innocence. 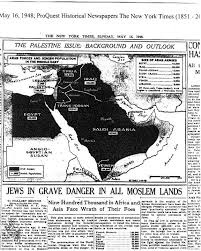 They include: * The Israelis initially claimed they had “mistaken” the Liberty for the Egyptian ship El Quseir. But the El Quseir was only 40 percent the size of Liberty (4000 vs. 10,400 tons). The El Quseir was an old, rustedout horse transport that bore about as much resemblance to the Liberty as a rusty VW does to a new Cadillac. The Liberty was arrayed with numerous specialized antennas, and an ultramodern (for 1967) 16foot microwave dish, a device possessed by no other ship in the world except her sister ship Belmont. She bore standard U.S. Navy markings, which included a freshly painted 10foothigh hull number, and Liberty on the stern. * The radio jamming is by itself damning evidence that the assailants knew exactly whom they were attacking. Such jamming requires intimate advance knowledge of the target being jammed, obtained by extended monitoring of its signals. And this was selective jamming; it struck Liberty’s frequencies and no others. Afterward, in one of their ever changing explanations, the Israelis claimed to have learned the ship’s identity when they heard its distress signals. But the attack continued for sixty six minutes after the first distress signal, which the Israelis had jammed, was sent. Had this particular Israeli claim been true, they would have recalled the torpedo boats before they even reached the ship. * The Israelis claimed that the ship’s U.S. flag hung limp because there was no wind. Later, when presented with the fact that the flag had been perfectly visible, they claimed that they thought that the ship was an enemy vessel flying false colors. The extended radio monitoring, exposing considerable advance investigation of Liberty’s communication facilities, refutes this claim. * Immediately preceding the attack, an Israeli pilot recognized Liberty as a U.S. ship and radioed this information to IDF headquarters. He was instructed to attack anyway. This dialogue was intercepted at the U.S. embassy in Beirut. Former U.S. Ambassador to Lebanon Dwight Porter revealed the existence of this intercept in 1991. We had been surveilled all morning and part of the afternoon by Israeli forces. They knew who we were. We heard them reporting over radio who we were and how we were sailing and where we were sailing. They saw the flag and everything else. We were in international waters. In 2004 the Jerusalem Post published a transcript of Israeli radio transmissions on that day, critical parts of which match the transmissions in the tape obtained by the film-maker, Richard Belfield. How disgusting it is that you call the survivors of the Israeli attack on the USS Liberty liars to defend a foreign nation. I follow what the US government said. And then there are the tapes. Good thinking. A government would never lie. But all the survivors of the attack would. I think we all know who the bigot is here. You are shameful calling American sailors liars in support of a foreign nation. Shame on you. Shame. It’s a sad day when there are things that will get you banned from this website but calling the survivors of the USS Liberty liars and those of us who defend them bigots is not one of them. Shameful. Well, you are likewise calling people who disagree with you on the subject bigots. I don’t think you should be banned for that, so why should they? There’s certainly someone who’s “thin-skinned” here, but it’s not me. Check a mirror. Show me one time I called anyone a bigot. You really do have to stop making stuff up you know. No, you’re not waiting. You’re denying. There’s a difference. You told me to show you one time you called anyone a bigot. Then I did so. Huh? Where did you do that? All I can find is your response saying “okay”. I did try clicking on your “okay” but it just brought me back to this article. 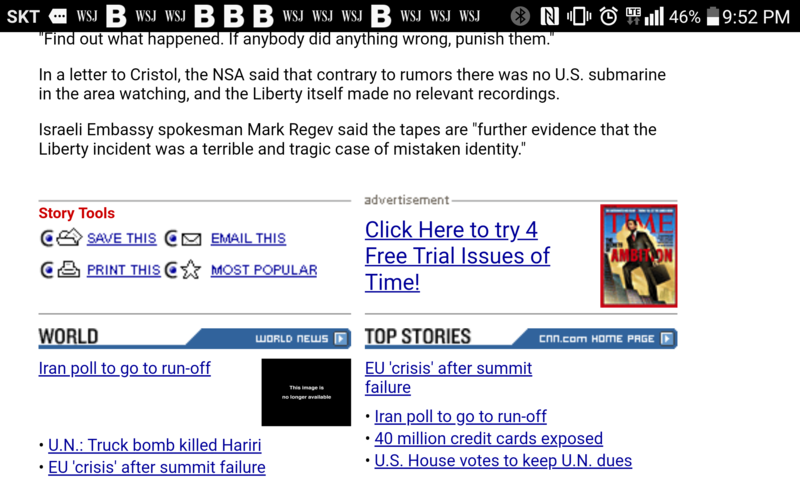 For some reason, links to comments at Antiwar.com don’t work very well (something about the way Disqus is installed, I think). Anyway, the link was to your comment four hours ago in which you called Stern a bigot (“I think we all know who the bigot is here”). Okay. Sort of. My reply to having been called a bigot (among other things) several times by Mr. Stearn. I, of course, did not actually call him a bigot directly. On the other hand, Mr. Stearn has repeatedly called me names. No banning for that is there? Mr. Stern has repeatedly expressed opinions on your honesty, character, knowledge, etc. Those are the same guidelines that you perpetually whine about having to observe yourself. I don’t ban you for not violating them. Why should I ban him for not violating them? WASHINGTON (CNN) — Tapes released by the National Security Agency shed new light on the 1967 Israeli attack on the USS Liberty that killed 34 Americans and is one of the most controversial mysteries in U.S. Navy history. Of course you are calling them liars. I have posted several of their comments noting that there was no chance the attack was accidental but you claim it was. It disgusts me that this website allows someone like you to call American survivors of this vicious attack by a foreign nation liars all in the service of that foreign nation. Shameful. You have to go pretty damn low to defend Israel in general but to sink so low as to defend Israel’s attack on the USS Liberty by calling the American sailors liars is just too much. This guy ought to be banned. Just checked the guidelines. Nope, “disagrees with America Firster” is not a bannable offense here. 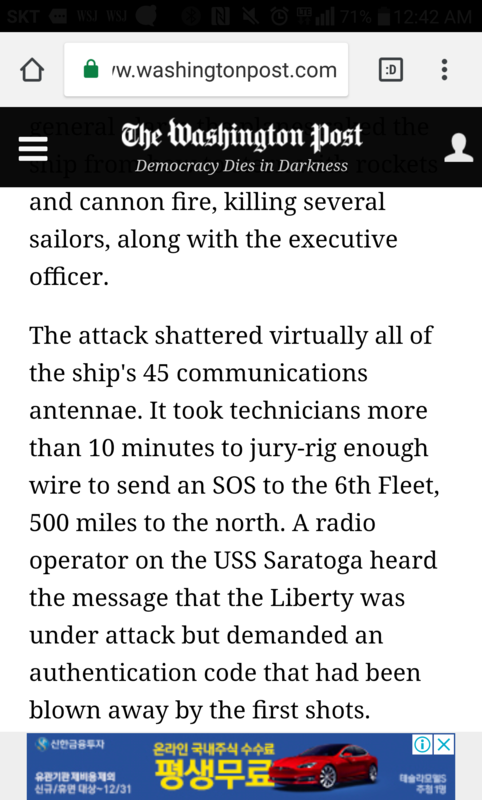 How about calling the survivors of the attack on the USS Liberty liars? You’re good with that are you? The dishonest and thin skinned Mr. Knapp chimes in again with yet another dishonest post. I called Mr. Stern out for his repeatedly calling the survivors of the attack of the USS Liberty in service of a foreign nation and stated he ought to be banned for doing so. Mr. Knapp pretends I asked for his banning because he disagreed with me. It seems the only true crime on this site is exposing Mr. Knapp’s dishonesty as I was previously and others have been. Why does Mr. Raimondo continue to allow this guy to behave like this? Yes, Mr. Stern disagrees with you on the nature of the attack on the USS Liberty. You believe the Israeli and US governments, which claim it was a tragic accident, are liars on the subject. He apparently believes the US survivors who think the attack was intentional are liars. It just so happens that I think you’re more likely correct on that particular topic than he is, but you’re both entitled to your opinions. I don’t have to “pretend” that you asked for his banning because he disagreed with you. That’s a plain fact. I suppose we could add “because you find that disagreement highly offensive,” but it doesn’t really change the fact. How many times have you been banned here? None that I can recall, for “exposing my dishonesty” (aka disagreeing with me) or for anything else. Just as the wicked flee when no man pursueth, the whiny whine when no man persecuteth. Mr. Raimondo is neither my employer nor my supervisor, and thus neither “allows” nor “doesn’t allow” me to do anything. You ought to stop leading with your chin. Absolutely. I personally doubt that they are liars, but that’s an opinion to which anyone is entitled. Just as you are entitled to believe that the Israeli and US governments are liars on the same subject. show where I said they were liars but I think WRMA are liars. 3. JCS TEAM TECHNICAL WERE DISAGREED AND COURT DID NOT SPECULATE. WE KNOW BY OTHER SOURCES EXACTLY HOW THEIR ROCKETRY WORKED. INCONSISTANT WITH THE REST OF THEIR BAG OF TRICKS. JAMMING OF THE TYPE DESCRIBED. ELECTRONIC PARAMETERS OF THE GUIDANCE SIGNALS? Final warning on the screen shot/graphics crap before I start deleting them (and, if I get tired of deleting them, ban you). An occasional screen shot/graphic might serve a legitimate purpose. Flooding comments with them because you’re too lazy to type is the functional equivalent of spamming, as I have to visually verify that each and every screen shot doesn’t violate the site’s guidelines. Then i will be asked to produce the source for any claim i make. So with the screen shot it is faster. Plus i use a smart phone not a desk top to answer. I work for a living and dont have access to a computer all the time. I wonder if America firstet has a job or he just sits at home posting comments all day. Yep. Just like everyone else. This isn’t a debate. You’ll knock off the screen shot flooding or you’ll be shown the door. I dont want to debate them I just want to pour drainer cleaner on them. That is all they are worth. Less in fact. Well, you can do that in some other way. Or somewhere else. It seems to me that there’s a false dilemma here. That is, it was initially a tragic accident, but once the Israelis realized they had hit a US ship, the decision was made to try to completely destroy it to cover things up. I’m not saying that’s what happened. But it seems like a possibility. The stumbling block to concluding that it was a deliberate attack from the start is figuring out WHY. One commenter here has suggested that it had to do with the US transferring nukes to Israel nearby, but there’s no reason to believe that a US ship would have to be attacked to cover that up. And given that the US tends to pat Israel on the head and tell it to do whatever it damn well pleases, it’s hard to imagine what else might be so terrible that the Liberty had to be attacked to conceal it. The stumbling block to concluding that the entire incident was a tragic accident is the fact that the attack was extended in time long past when it must have been obvious that it was a US ship. My own conclusion is that it certainly was not entirely a tragic accident from beginning to end. At some point, the Israelis knew they were attacking a US ship and continued to attack it. I’m agnostic as to whether it was deliberate from the beginning. Between Knapp and Stern it’s kind of like shooting fish in a barrel given the weakness of their arguments and their ability to make those arguments. However, unlike those fish in the proverbial barrel, these two seem to have no clue as to the fact that are being repeatedly shot. Just keep telling yourself that. If it helps you grapple with the inferiority complex or whatever the hell it is you have going on, who am I to begrudge you your comforts? Oops. That thin skin is showing Mr. Knapp. You are calling the survivors of the Liberty liars. How low can you sink? Time to stop flooding the comments with repetitive screen shots. Lieutenant Commander Jim Ennes: Reconnaissance pilots were heard telling their headquarters that we were an American ship. Seaman Bill Casper, a ship’s lookout, says Israel is lying. Signalman Joe Meadors helped haul up an oversize 9×13′ flag before the torpedo boats arrived. 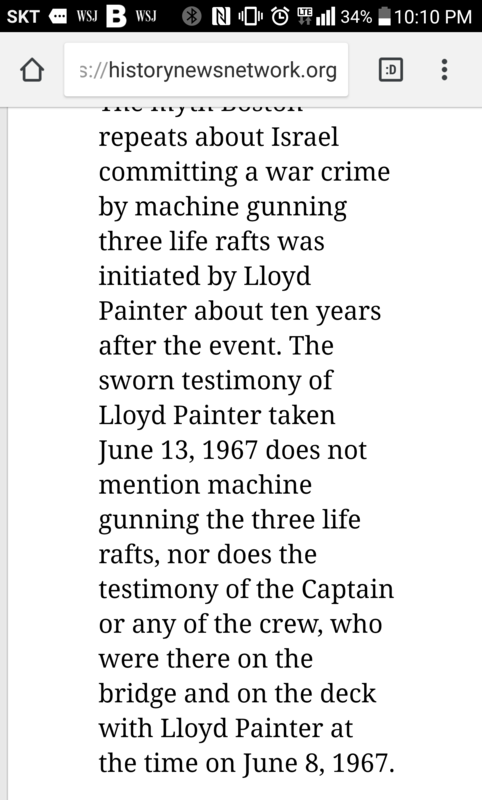 Boatmen claim falsely that no flag was displayed. Meadors: The helicopters that Israel claims were sent for “rescue,” actually carried armed men in battle dress . Survivor Halbardier describes Israeli machinegunning of Liberty’s life rafts, a war crime under international law. Ennes: The Israel government’s claim that their forces tried to identify the ship before attacking is untrue. How can you explain the tapes? you utilized cnn in support of your own agenda? that’s hilarious,. cnn = proven pathological lying psychopaths and propagandists, and you, without any research of your own, post a link to cnn as though it has some basis in reality.. you must believe in santa claus, the easter bunny, lockness monster, big foot and aliens as well since you believe cnn is reliable. There are books on santa claus, the easter bunny, lockness monster, big foot and aliens.. that doesn’t make them factual.. but you read an article on cnn and believe it and post it as if its factual..
CNN better than the alternative media. You speak for yourself not the US. I noticed you couldn’t actually refute my post,. that’s funny! You said CNN are liars. cnn have proven out of their own mouths that they are proven pathological lying psychopaths.. a google search will irrefutably support this statement, as there are hours of video proving lie after lie ad infinitum from cnn! Everything is substantiated utilizing any search engine, the comparisons are chilling! ohhh you’re a participation trophy loser child who has to have all the work done for him and then handed to him on a silver platter, because he’s too lazy or incompetent to do it himself..
You know it’s true or you’re willfully ignorant, in either event, i don’t get paid to educate the mentally deficient! prove it, said the pinnacle of failure that is you! And you can beat ” the pinnacle of failure” you slimebag. imagine my lack of shock that you can’t formulate a cohesive sentence when you’re triggered! you’re lucky willful ignorance isn’t a capital offence! wtf does that have to do with ISRAELS CRIMES AGAINST HUMANITY?? Ohhh it’s the old trick.. LOOK OVER THERE, SEE THEY’RE BAD! Now forget about ISRAELI CRIMES AGAINST HUMANITY! if you are so well informed then why can’t you prove what you say? you saying prove it doesn’t disprove it, well, perhaps in your mind it does.. but as we discussed earlier, you’re a participation trophy failure that BEGS to be spoon fed, because doing your own research is too hard and would cause cognitive dissonance to such a degree you’d drop into a coma if you read something yourself that didn’t support your echo chamber narrative! The real bigots are the the Bathists the Khomeni followers and theAl Qafia types. 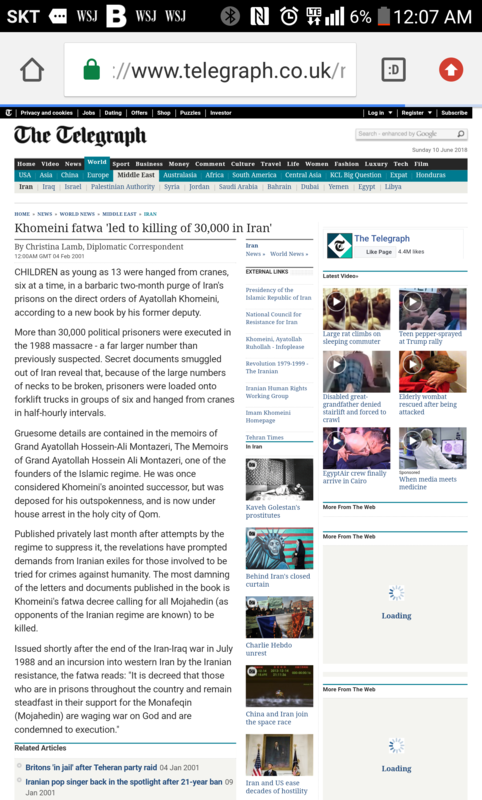 meanwhile, the iranian’s aren’t the one’s committing GENOCIDE AND CRIMES AGAINST HUMANITY AGAINST THE PALESTINIANS! We’ve been over this, zionists lie and tell stories about others to distract for their own crimes! posting a zionist link is supposed to prove what? How was that a zionist link ? ( in fact it has nothing to do with Israel whatsoever . written by a zionist shill, YAWN! oh and of course you resort to profanity because you got nothin! What I got is that you are a worthless bigot and a disinfotmation artist who can not prove his claims. did you notice that they were forced to release the student and allow her to enter israel and she didn’t have to disavow bds? SEARCH ENGINE! get one, read the facts, they’re all there for you to read when you pull your head out of your posterior! Every search engine on earth proves what i said,.. not my fault you’re too afraid to do any research! have you noticed that out of 1595 postings, only 57 people agreed with your statements? you’re wrong A LOT! I can safely presume that you just get paid to post as a zionist shill, hence your record! You said israel the N azis. Who wants to be popular here? your parents didn’t have high expectations for you, did they? congratulations because you nailed it! What part of no one agrees with your statements did you manage to twist into a popularity contest? so you’ve disappointed your parents as well or did they not have high expectations for you? aw did i trigger you? poor zionist shill! It is amazing how few people in the US know about that today. More amazing is how some people cling to the lie that it was in accident, dismissing common sense and all information to the contrary. Any uncertainty the student may have had regarding BDS has been resolved by this point. The law should be applied and she should be deported because every country has the right to have its own set of laws. Go ahead and put another brick in the wall of the apartheid state of Israel. The apartheid state of South Africa and the Nazi state of Germany had their laws too. Before anyone accuses me of comparing Israel with Nazi Germany, understand that the examples are not to suggest equivalency. I am just trying to make the point that laws by themselves do not imply morality or even justice. They are like Nazi Germany, just more subtle. They’re not hauling the Palestinians off to gas chambers. Just shooting babies and starving them and denying them medical attention, and trapping them in Gaza which they periodically bomb and drop WP on. Real subtle. I wasn’t condoning their tactics but I still think it’s subtle in comparison. Especially when the blame for their brutality is blamed on Hamas and called “self defense”. I repeat. You think the word subtle can be applied in any context to shooting babies, Medics, and Journalists;starving and denying medical attention to the people trapped in Gaza who are also bombed periodically? And that is very much a partial list. What exactly is your problem? Are you that hung up on the word subtle or do just feel the need to start a senseless argument? I was waiting for the hasbara to jump all over me for saying Israel is indeed like Nazi Germany but instead I get $hit from someone who thinks just like me when it comes to Israel’s barbarism. Not sure why you think atrocities committed by other people absolves Israel? je ws in WW2 since according to you it was not particularly horrible cause it is done all the time and also you do it to imply since Je ws do what the N azis did what was done to the J ew s in WW2 wasn’t so horrible. No I didn’t. You need to try to be a bit more honest. 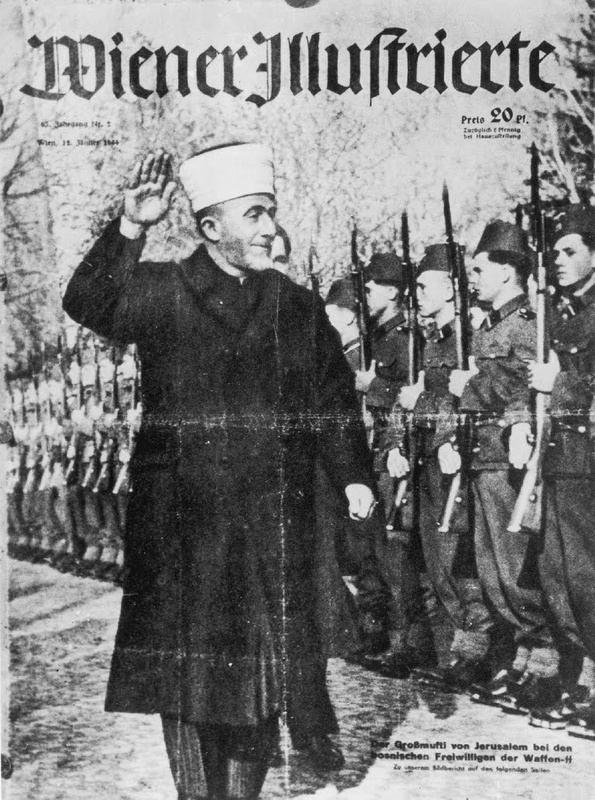 Another poster said Israel was like the Nazis — only more subtle. I challenged his use of the word subtle arguing that shooting babies and starving people and denying them medical attention, and trapping them in Gaza which they periodically bomb and drop WP on is not generally categorized as subtle. 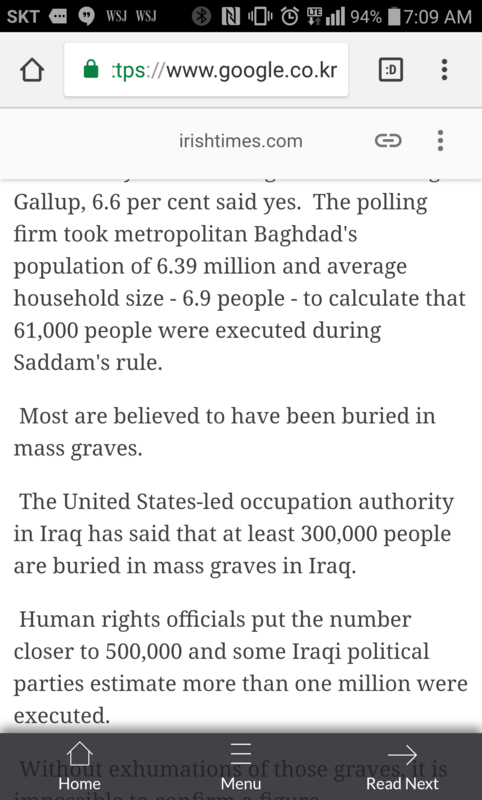 Then whst of Saddam and Khomeni? Yes, what of Saddam and Khomeini? Are you suggesting that only one side of any given conflict can be like Nazis? Now you are really losing it. Your language has become very confused and is now at the point it is impossible to determine what you are trying to say. Maybe you should just return to your mantra “show the tape”? Then what of Saddam or Khomeni? Imagine Iran doing something similar and then imagine our reaction. Exactly the same, right? Exactly where does it say in the Israeli bill of rights and constitution that all men are created equal and have the same rights and privileges under the law. No point in discussing racism or human rights with people who do not even remotely believe in principles that underpins the rights of man. She is waisting her time, perhaps she can convince Jews who live in the US that these principles are important, but Israel is committed to separate and not equal. Just another example, the US is in the Israeli tank. 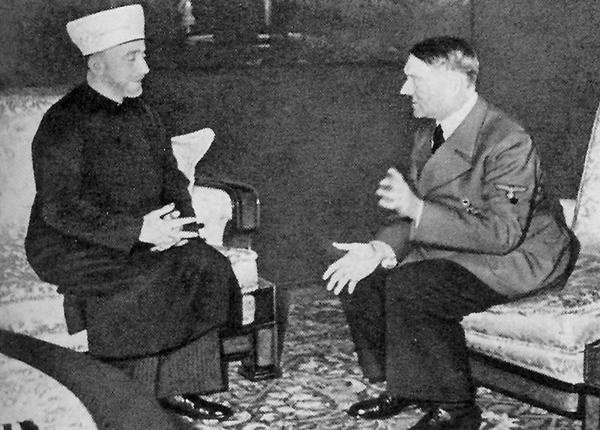 israelis are EXACTLY like the nazi’s.. their final solution for Palestinians is nothing but war crimes and crimes against humanity, without the ovens, YET!